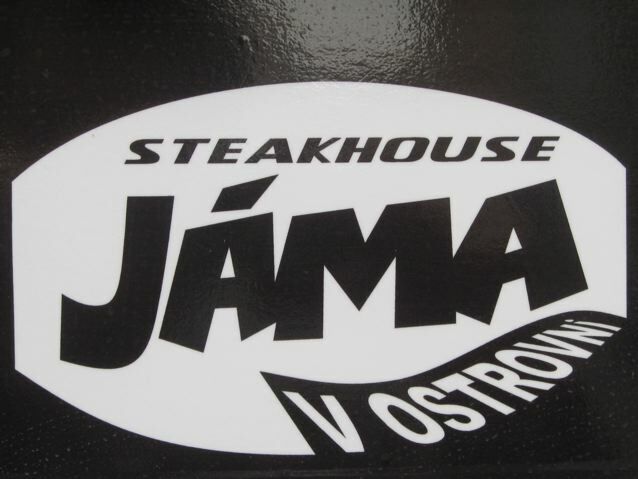 Jáma Steakhouse has been open for more than a month. I went twice in its first week and once more last weekend. 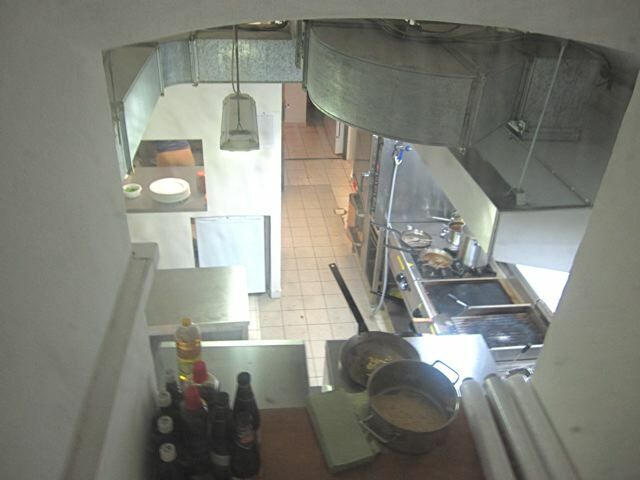 Even on my last visit, in their fifth week, they were still using a limited, temporary menu. Also, as of this writing, the website written on their business card wasn't functional. But I'm not surprised, either. 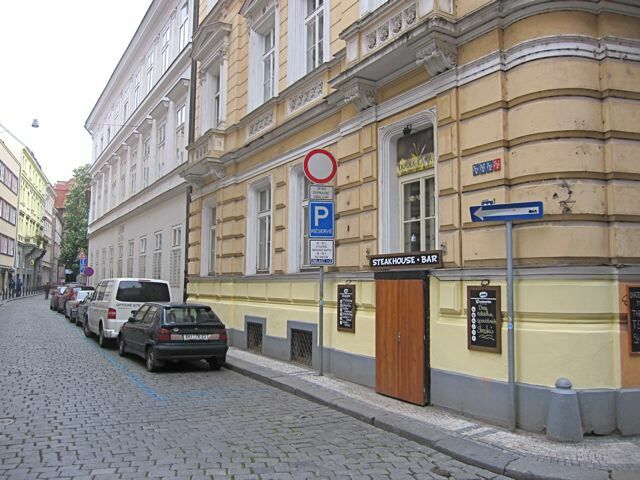 As Max Munson, the genial owner said recently in The Prague Post, "I saw the location and liked it," he says. "It was a case of fire, ready, aim." The interior is casual and basic. This is no fancy steak palace. The background music was on shuffle and veered wildly from Jay Z to Billy Joel to Green Day to generic 80s pop. The bar side of the restaurant looks a little better, but the seating was awkward and uncomfortable. 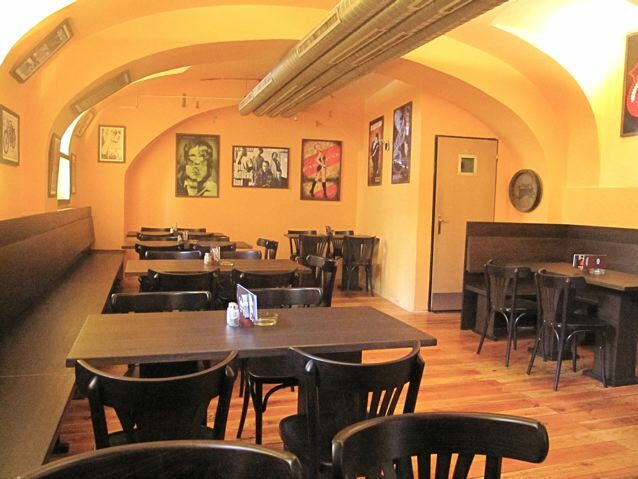 Along the wall was wooden banquette-style seating without padding. Not only that, but it was elevated enough that a tall man's feet, such as myself, would not reach the floor. 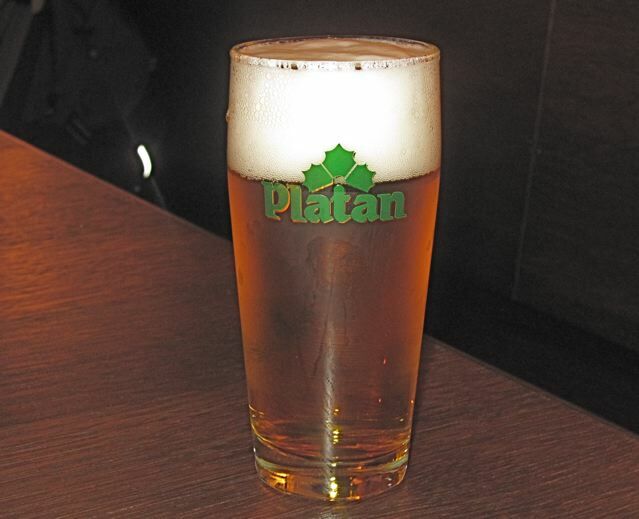 One of the most notable and laudable aspects of Jáma Steakhouse is its beer selection. Rather than the standard Pilsner Urquell, Budvar, or Staropramen, this place serves regional beers from the K Brewery Group. Prague's quality, non-standard beer gadfly, Pivni Filosof, did a good, informative post about Munson and his decision to go in this direction. 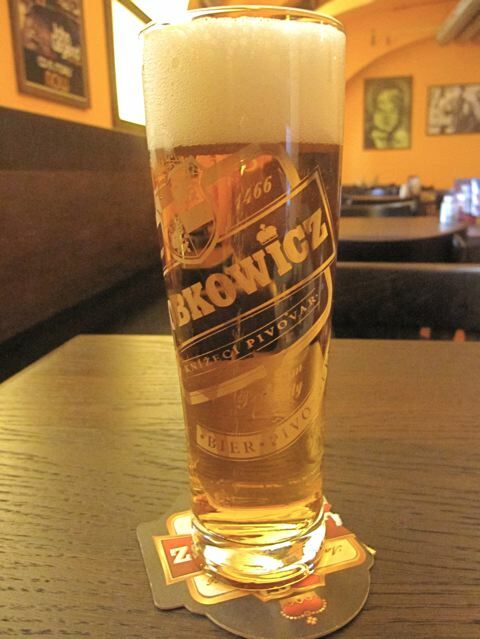 So the first thing I did was order a .3 liter glass of the 12 degree Lobkowicz (28 CZK). 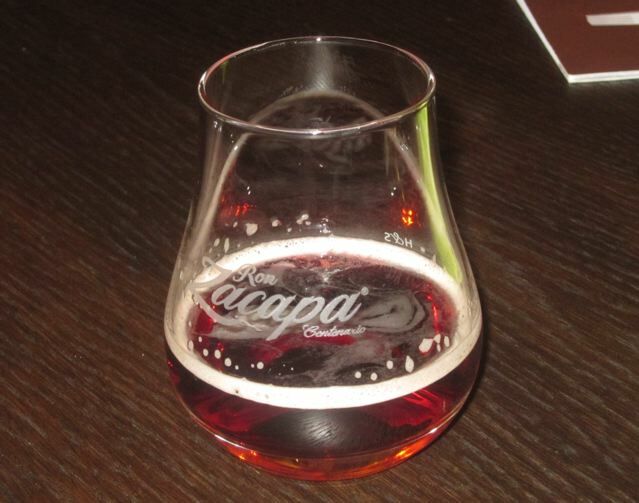 Normally, I'd get a half-liter (45 CZK), but I wanted to try as many of their five tapped beers as I could. I'm a fan of the Lobko. My powers of beer description are not great, but I thought it quite similar to Pilsner Urquell, with its strong, Saaz (Žatec) hoppy bitterness. After I placed my order, I was surprised to receive a "gift" from the chef. An amuse bouche, if you will. It was a medium-sized potato pancake. I hate to criticize a gift, but it was dry, rubbery, and just too large and dense ahead of the heavy meal to come. 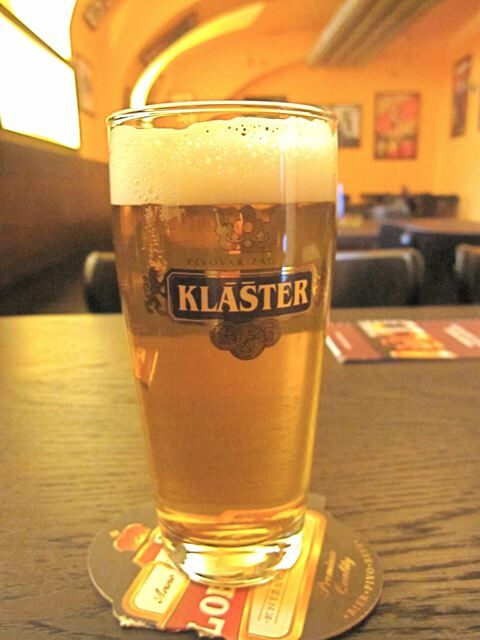 My first beer was gone, so I got a .3 liter glass of 11 degree Klášter Kvasnicový (24 CZK). This beer tasted bland after the stronger, more assertive Lobkowicz, but I had it on another occasion and enjoyed its complex, yeasty character much more. 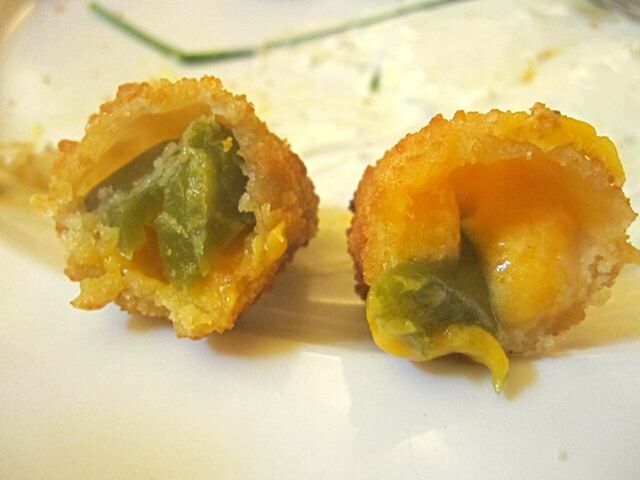 I got a starter of the fried, cheddar-filled jalapenos (110 CZK). I was hoping for something made in-house. Instead, they were the same Makro-sourced frozen poppers that they have at Crazy Cow Steakhouse and many other places around town. They're just OK, but not worth the money. 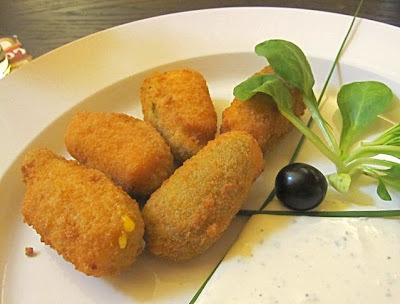 I saw some fried mozzarella sticks go by and they looked about the same. 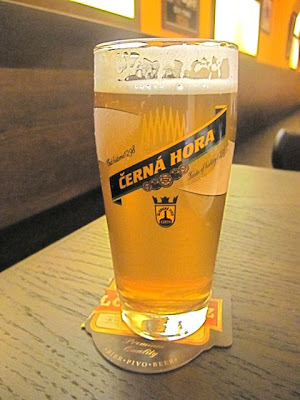 Beer number three was a .3 liter Velen 12 degree wheat beer (25 CZK). It had a light honey note. To my taste, the tart, cloudier Primator Weizenbier, which they have on tap at Neklid, is much superior. For my main course, I got a 200 gram piece of my favorite cut, the rib eye (265 CZK). This Irish beef was one of the thinnest steaks I'd ever seen in a steakhouse. To compensate, it was also wide. In short, it wasn't pretty. However, the flavor was good. It picked up a smokiness from the grill. The beef was perfectly salted, fatty in a good way, and very tender. The gravy was made with beef bullion mixed with sliced red chilies. It wasn't creative cooking, by any means, but it tasted OK, and it was quite spicy. The fries had a ridged shape, and were seasoned, hot, and crispy. This quirky steak had me wondering how they handled other dishes. 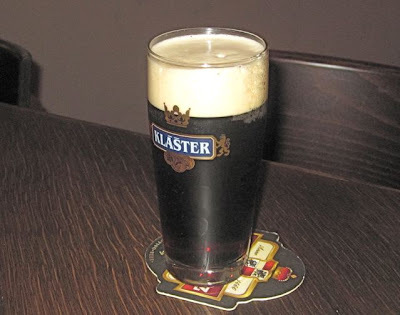 On my next visit, I tried a .3 liter glass of the Klášterní tmavé 10 degree (22 CZK). It had a mild caramel flavor. 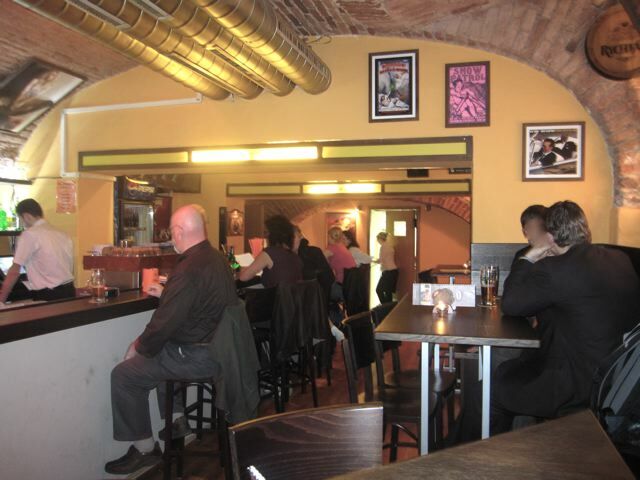 Now, if you know me, you know I had to try their hamburger (165 CZK). The price starts out OK, but to add bacon costs 45 CZK, and to add real cheddar costs another 45 CZK. So that's a hefty 255 CZK total for a bacon cheeseburger and fries. 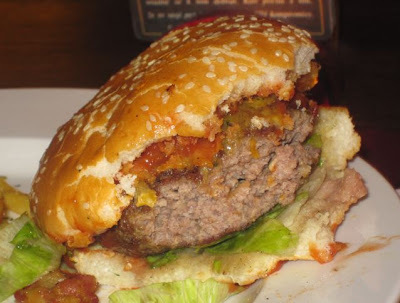 The patty was made with good quality ground beef, and was simply seasoned with salt. It was like a big, fat, juicy backyard burger. That's the good part. But I was disappointed that it tasted as though it was cooked on a pan or griddle rather than a flame, which I greatly prefer. In their kitchen, they have both. I asked for the burger medium-rare, but it came medium-well. 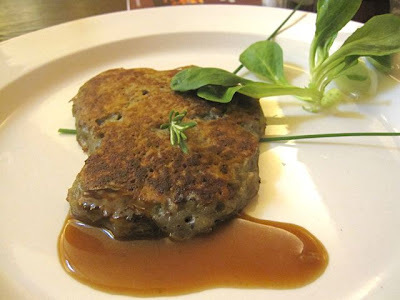 At the end of this meal, I had a .3 liter glass of their Schwarzenberg 10 degree (19 CZK). I liked it more than the Klášter Kvasnicový. Then, I waited four weeks and returned with V to see how they do some other steaks. But first, I got their starter of chicken wings (99 CZK). 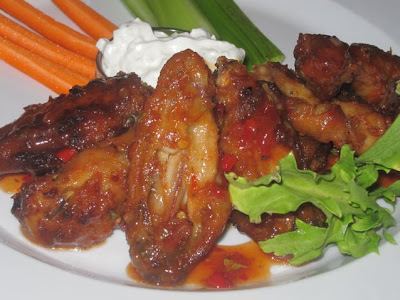 They were soaked in a Thai-style chili sauce mixed with red chilies. The waiter brought us a sample glass of an off-menu cherry beer. It tasted like a sweet cherry soda. I didn't think I could drink a whole glass, but V liked it. 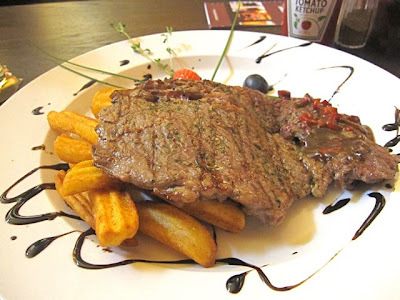 Then, I got my 200 gram Uruguayan Charolais fillet (345 CZK). 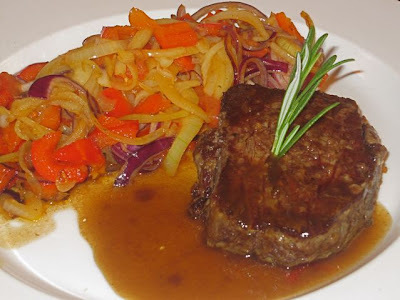 I ordered the Port wine reduction with beef broth and grilled vegetables on the side (45 CZK). I didn't enjoy this steak at all. It was tougher than a fillet should be. I'm not even sure it was a fillet. It tasted like it was cooked on a griddle or a pan rather than on a flame. Even if some people don't appreciate fire-grilling as much as I do, I think the menu should state the different ways the steaks will be cooked. The sauce was essentially the same as the gravy chili sauce I had on the first visit, which had disappeared from the menu. It tasted like the same beef bullion, but if there was any Port wine in it, much less a reduced Port wine, I'd be amazed. The "grilled" vegetables were just a miserable mushy mass of pan-fried red and white onions and peppers. 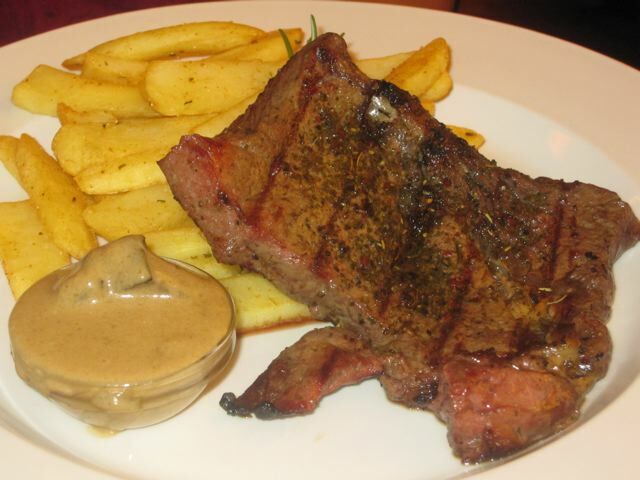 V did a little better with her New York strip loin (245 CZK). The Irish beef tasted better my South American cut, partly because this one had a smoky flame-grilled flavor. Otherwise, it was surprisingly tough and hard to chew. 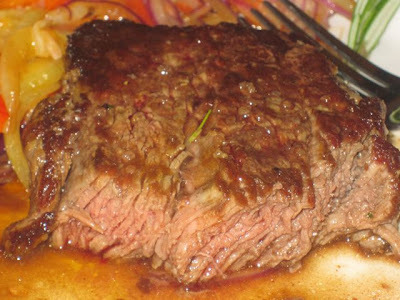 It reminded me of Czech Roštěná steaks I've had. The small dish of mushroom cream sauce, which V asked for on the side, did have the flavor of wild mushrooms in it. But it grew cold quickly in the dish. The fries were a disaster -- oily, soggy, and limp. My first solo visit cost me 487 CZK without tip. The second was 296 CZK. 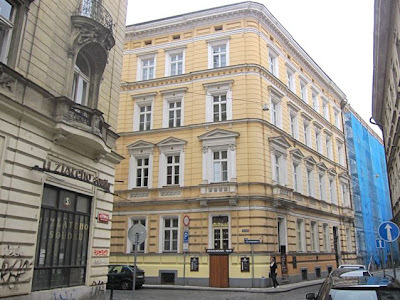 The third was 905 CZK. They weren't cheap meals, but not bad for a casual steakhouse. So Max Munson and I agree. He opened his restaurant too soon. I think he didn't spend enough time and attention on quality and creativity. He's always been positively responsive to criticism, so one can only hope he'll patiently and methodically correct the many errors of Jáma Steakhouse. What an abuse of ingredients. At least there's good beer! Full disclosure: I've been visiting Jama since just after it opened in the mid-90s. But I was just a face in the crowd from time to time and I never lived in Prague in those days. Even though I recognised Max then, we weren't introduced until several years ago. I'm still not at Jama anywhere near often enough to be a regular, but he and I do say hello if we pass each other on the street. Tonight I was on my way to Narodni Tesco to buy some beef mince and I was late (they'd already closed). Max and I literally ran into each other on a street about a block away. After the pleasantries (Max really is a genial fellow), I suggested that I eat at his new restaurant (the steakhouse) and of course, he couldn't refuse. Indeed, he graciously offered my companion and me a drink there. My companion wanted a burger (I'd already eaten and couldn't have eaten much more anyway). Max came by our table and suggested bacon with the burger. My companion hadn't ordered it, but enthusiastically agreed. It was American streaky bacon, done just right. I had what started as "a" bite of the burger, but quickly turned into quite a few bites. Very, very good. The fries were fresh, hot and crisp (and deep and even? ), though I will admit there was some oil left on the plate, which is unusual. Very tasty chips though. I didn't have a steak there -- again, I was there more or less in to have a drink -- but that burger was tasty enough to make sure I go back. 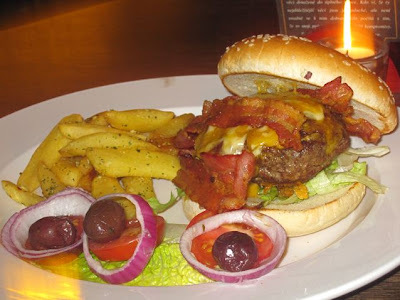 It's better than the Jama burger -- one of my favourites already -- though a bit more expensive, I think (30 kcs or so depending on cheese and bacon etc.?). This is hardly comprehensive, but I saw (and tasted) enough for me to want to go back. Worth a look in; hopefully CP's readers will give us some feedback regarding the steak? I thought i would try the Steakhouse having been a regular at Jama The Hollow for many years. And as a friend has moved just around the corner from it i thought we should meet up there. On Tuesday we met for lunch and i had a beef steak and Mexican chips (115 kc) while my friend had the pasta with grounded meat and cheese (95 kc). 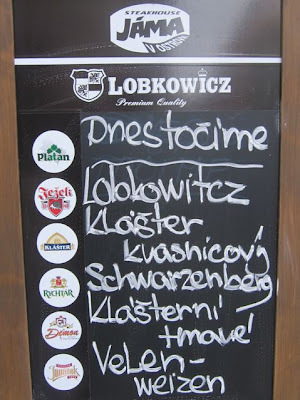 Washed down with Lobkowicz. The following night we noth had the steak. 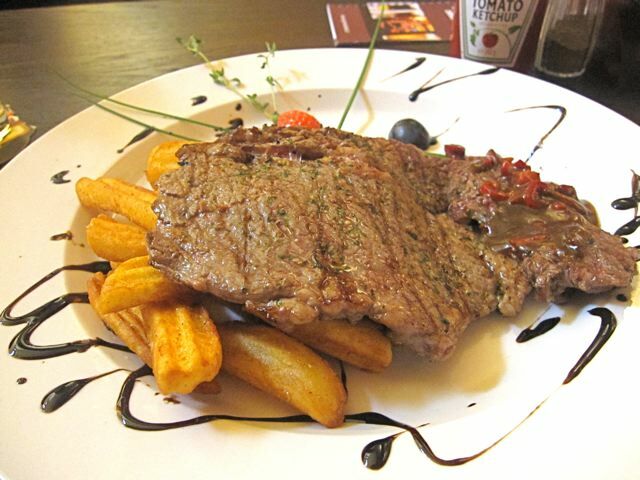 I had the 200g Aberdeen Angus (230 kc) and he had the 300g rumpsteak (255 kc). Both took a while to arrive but were worth the wait. My was very tasty. 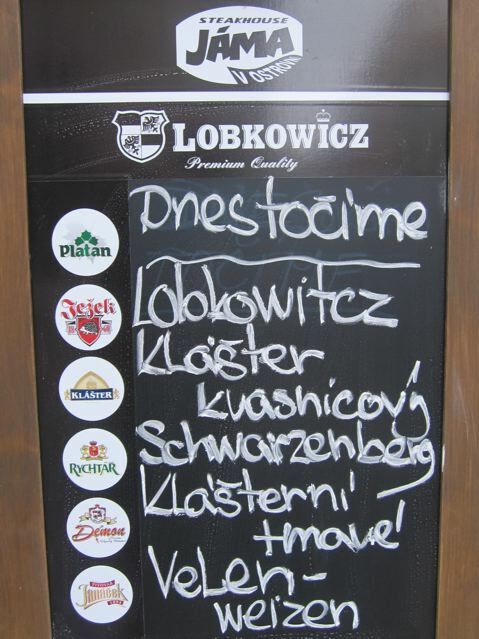 We each had 3 Lobkowicz. So for 400kc each we had a most excellent night of dining and drinking. I think we will be visiting a lot over the next few weeks and months. Visited the steakhouse a couple of days ago having read the comments and review it was interesting to see how it would turn out. It turned out quite good. Maybe the Brewsta should make a return visit. He did go in the first few days it was open. I like a good steak and chips dinner. The Jama Steakhouse does it exactly how i like it. I can't say any better. The girls working make my time their enjoyable too. Them and the Czech beers i get through. Live music can be on too. all I would like to add to the comments above is that Jama Steakhouse is quality!